Conveniently located on Warren Street in the center of Hudson, N.Y. the LYF gym is walking distance from Amtrak and most hotels in the city. We have an intimate 1200 sq. ft. setting that is split into two sections: the front as dedicated class space and a back area with state-of-the-art equipment for personal use and private training. We feature a turf area for enhanced sports training, floor to ceiling mirrors, a free-weight squat rack / bench press, cross over cable machine, a lat pull-down, a seated row, a rack of free weights, medicine balls, bikes, treadmill, and more. If you’d like to visit the space, please email lyffit@gmail.com to make an appointment or join a class! 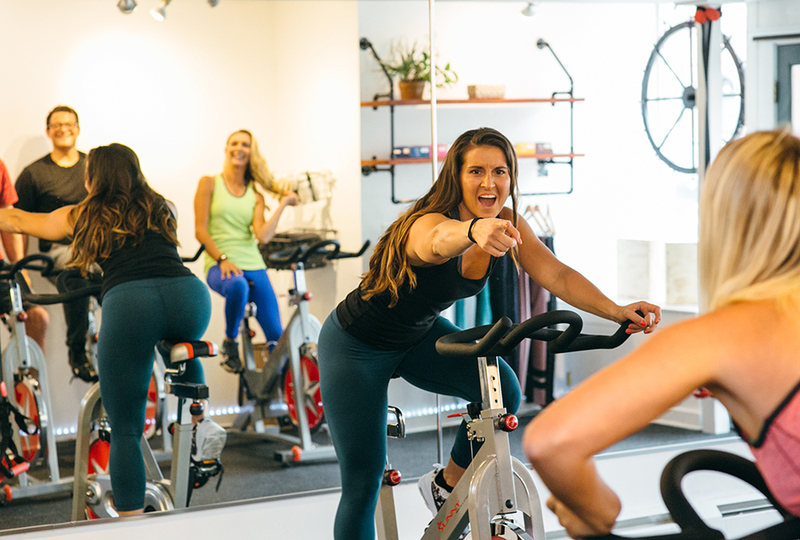 In a gym setting, in the comfort of your own home, at the park or on your lunch break, LYF’s trainers can put together a custom routine that accommodates all fitness levels and body types. Kylah has been a personal strength and conditioning coach for over 10 years in LA, NYC and the Hudson Valley. She has a B.A. in Dance and a Sports Medicine Degree in Athletic Training from Marist College and is certified in Athletic training, pre/post natal training, boxing, spin, TRX, stretching and dance/movement. Her style and technique is based on the individual, her workouts combine muscular strength, cardiovascular endurance, plyometrics and flexibility into one so the body receives a healthy full-body workout. Rachael is a Pilates Instructor, practicing since 2011. She completed her certification at the Pilates Sports Center, a comprehensive course in all apparatus and mat. Rachael is trained in the classical repertoire of Joseph Pilates that includes a contemporary approach incorporating modern knowledge and principles. "I offer my students a unique Pilates experience while maintaining the fundamentals of Pilates. Both new or well seasoned students will have something to gain from class while being challenged in a safe & creative environment." Michael LaCasse is a certified strength and conditioning specialist (CSCS) and has been a personal Strength Coach in the Hudson Valley since 2012. He is a graduate from Sage College of Albany with a Bachelor’s of Science (B.S.) in human biology/pre-physical therapy. At Sage Michael studied balance intervention in the elderly population through exercise and education. Michael focuses on weightlifting, plyometrics, body weight movements, mobility and range of motion. The aforementioned will build one’s muscular strength and cardiovascular endurance while decreasing risk of injury.